Several years ago, I preached a series of renewal services at Rosedale Baptist Church in Abingdon, VA. Commonly referred to as a “revival,” or, in previous generations, a “protracted meeting,” each service carried a specifically evangelistic emphasis. I prayed the Lord would be pleased to honor the preaching of His Word, call many to faith in Christ, and produce spiritual fruit that remains. 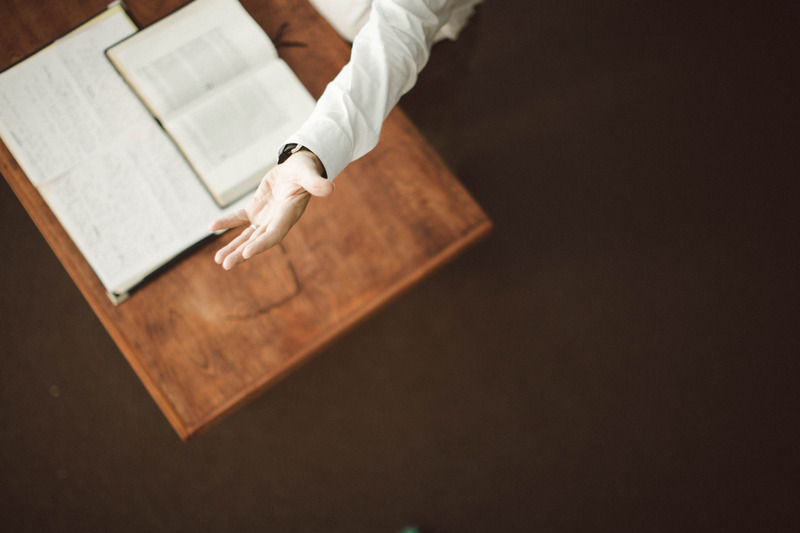 Whether the response is at a dedicated time following the sermon, later after the service, or a follow-up meeting, the preacher must apply the urgency of the gospel, give his hearers a way to respond, and their commitment must ultimately get public, most appropriately in the waters of baptism. Should the sermon conclude with invitation? Yes, a sermon certainly can conclude with an invitation, but, more importantly, the sermon must be an invitation. [i] Acts 18:4, II Corinthians 5:20. I enjoyed your insight and felt both challenged to ensure my sermons are gospel driven and with so many who want to abandon altarcalls altogether, that they are still a necessity after a gospel preached sermon. Oh thank you for saying this from your position of authority and leadership! I so agree in every way. In our practice, we lead people to use response cards to inform us of any “spiritual decisions” and then follow up personally. This is working very well. We have set new records in baptisms for the church, partly because we teach that the baptism is the profession of faith. I’ll refrain from a follow up blog, but I loved how you handled this topic. Thank you. Yes Sir! “…to be a preacher is to be a pleader, a persuader, a beggar.” Thank you. How can we not continually call the lost to respond. Every time we preach may be our last time. The problem many of us have with the invitation system is not the invitation per se, but with the psychologically manipulative invitations often employed to get responses. Dr. Allen, enjoyed reading this article and will state unequivocally it gets to the heart of many issues in the church. While doing research, I have sat in many churches that have no form of invitation (Yes, SBC churches for the most part) because there was no need for one. The sermons were generally a seed of scripture used to back up some form of psychological need the speaker was trying to address. Any statement of WHY people need to be saved was lost. If I was lost going into that church I was equally lost coming out because I had not heard anything of eternal relevance. A contrived speech meant to appeal to those who would be offended by a preaching the gospel and in particularly, called out to not be ashamed of Christ. We wonder why Christianity is in decline?